How much LAN center Internet is needed? We’re back with another edition of our online show for LAN centers and esports. On the agenda today is providing ggLeap and ggCircuit updates, how much LAN center Internet is needed, recaps of our recent trip on the east coast and more. 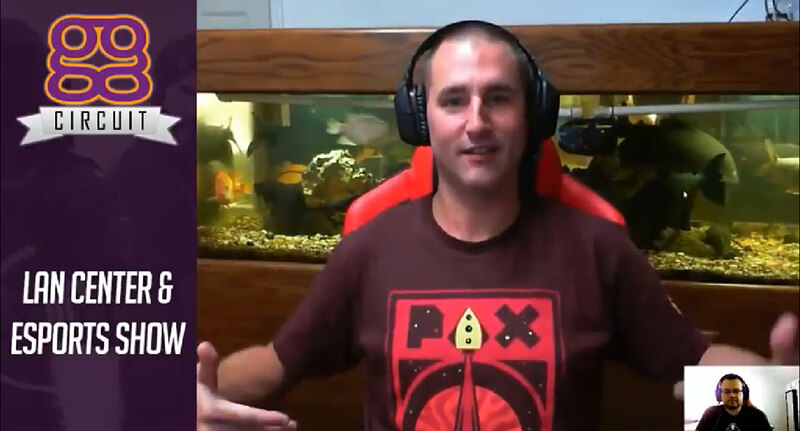 This week we talk a lot about LAN center Internet needs and how we evaluate what connection and bandwidth should be purchasing while serving up the most optimized gaming experience while not overpurchasing. 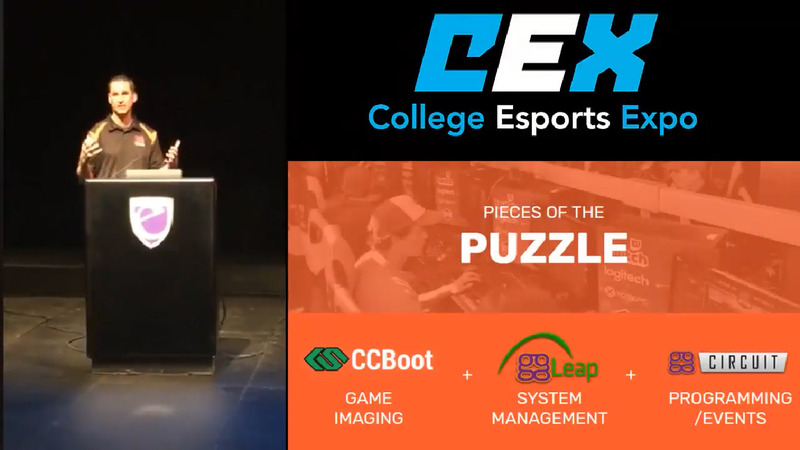 We’ve been travelling a lot lately so we also cover our travels in discussing some places we’ve visited such as our customer Balance Patch in Boston and our presentation at the College Esports Expo before PAX East 2018. HUGE updates are finalizing with ggLeap and ggCircuit and will be released in early May. We also preview the upcoming ggCircuit Season 7 and Zehn Masters Series 2 which is in progress. LAN Center and Esports Show – How much LAN Center Internet is needed? Zack: This question comes up a lot, and I’m knee deep in the middle of discussions with some really high-end clients on the internet in a video game center, in an e-sports arena, for an e-sports contest. There’s a lot of debate over what the right thing is when it comes to buying your internet. It might seem simple, and I don’t want to make it seem like these very, very intelligent IT professionals in other industries don’t know what they’re doing because they’re very wise and smart in their particular industries, but it’s just not the same when you start talking about gaming. Let me give you this example, and I won’t use the client’s name or whatever. We’re working with a really big client, and it’s somebody that has worked with a lot of big organizations in the past. They’re referencing times when they’ve worked with MLG and times when they’ve worked with ESL for pop up events. Their statement to me was, is that every device that’s in your network, you should plan on that needing 15 megs up and 15 megs down of bandwidth, and you multiply that by the number of machines in your network. Think through this with me if we do some easy math. If you have 100 PCs in a network, or Xboxes, or PlayStations, doesn’t matter, 100 devices total, you need to plan on 15 megs each. That would mean you need to go out and get a 1.5 gig internet connection for 100 stations. Now that’s totally not the right math. This is not what something would consume at one given time. That’s ultimately the maximum it would consume if it’s doing a ton of different things. If I’m at home, and I have my one PC, and I’m playing games on it, and I want to flip on a streaming program and upload that stream to Twitch while I’m playing a game at the same time, and I’ve got all these other things going on, maybe my Xbox is updating or whatever it is. That scenario is unique to the at home experience for one person on one PC. If you go out, and you set up a LAN center, an e-sports arena, whatever, let’s say you’re going to stream that event. Fifty PCs in an event, and you’re going to stream that event. You’re not going to have 50 of those players each start their own stream to Twitch. You’re going to have a device, or room, or a broadcast area that is the host box or connects into the online servers and grabs the stream, produces it, adds in the overlays, does all that. It streams up, and it will then need 10 megs to 15 megs of upload speed for that stream to be consistent. Now if I’m a player in this LAN center, in this arena, I don’t care how serious of a contest it is. I will not need 10 or 15 megs. Most video games that are out there today, it doesn’t matter what it is. It doesn’t matter about the quality, the resolution that you’re running or anything else. They use way less than one meg for video game traffic, way less. You just don’t need that much throughput to play video games. Now I’m going to break it down a little bit more because I think here’s where a lot of people run into trouble. Back at your house, you’ve got your PC, and you invite four friends over. Now your four friends are there. They’re plugging things in. First of all, you’re plugging them in. You’re probably running on a standard home router, which is not built for doing all of the different traffic, not because of bandwidth but because of processing and the CPU and that because it’s doing network address translation, so that it can turn everything that’s coming into your network in to private IPs for every device that you’re hooking up in your home. It then has to remember this device over here’s IP is 192168.whatever, some private IP in your little home network, but this outside website, or game server, whatever is looking for my main IP here on my router. That router has to then translate that based on the MAC address on that devices network card or their wireless adapter to send that traffic to them. Now that device becomes a bottleneck because it’s translating all of that into that private network. The other thing is that most home networks are built on shared internet between other people in the neighborhood, other people in the building. Even if you buy commercial grade internet, it’s like the old days when we used to call up and buy a phone line. For all of you kids out there, we used to have things in our houses called phone lines. You would call up your teleco. You’d order a phone line for your house, which is already there. They just come out, and sometimes they’ll just hit a button, and then you turn it on. Your home phone line was like $20 bucks or $30 bucks a month. If you opened up a business, and you called the phone company, and you said, “Hey, I want a business phone line,” it’s the same doggone copper lines coming in there, but all of a sudden the price was like $80 bucks a month or $100 bucks a month for business service for your phone line. It was the same thing. I could pick up my home phone and call that business line. That business line could pick it up, call my home phone. It’s the same technology underneath it. They just charge more. A lot of these commercial grades, they say that it gives you better priority in their queues, but it doesn’t really. The key I always tell my clients is that you want dedicated internet, but you can always tell based on price. Unless you’re really awesome, and you’re in a Google fiber area where you can get a really good rate on fiber, you’re probably going to pay $600 to $1,200 a month for the correct type of connection in your LAN center. If you’re getting a quote at $99 bucks a month or $199 bucks a month, it’s probably not something that’s going to scale up to 60, 80, 100 active PCs at a time unless you do some really creative traffic shaping, maybe buy a second line to put all your web browsing and streaming on a second line and use the other line for just gaming traffic. That might work, but that’s a lot more complex set up with your router. I just am blown away and going into this situations where we’re working with really big clients and things, and they start looking at these numbers and doing the math. Here’s where I think the problem is, is that a pop up install for MLG, or ESL, or anybody else, they don’t have time to get public IPs routed in and to negotiate that IP group. The ISPs don’t want to temporarily route public IPs for a one weekend event. They’re more interested in doing that on a two or three year contract. The best bet that these places can do is they go in, and they overpurchase bandwidth to make sure that their event runs smoothly. Then also during that weekend event they have so much other stuff going on, updating things, trying to get the games patched and things, they don’t want to mess with rate limiting every device and bandwidth shaping every device just for gaming traffic. What we do, we’ll set up public IPs. Every device in our network has got a public IP. It’s not that hard to get. You can explain it to the ISP. This is my background starting in ISP. That was the first thing I did out of college was start a software company, followed up on ISP. I know how these work. I know what you need to do to be able to show what you’re going to use it for. When you do that, you’re setting this up for the long haul. You’re not doing it for a temporary set up. I think that’s part of the problem is that these companies are used to dealing with somebody rolls into town with four or five semi-trucks. They throw it all out. It hasn’t been updated in a month. They spend two or three days trying to update everything. They need as much bandwidth as they can consume. They don’t want to have any risk that the stream is going to lag because they’re going to put on this big production. They just overpurchase for that event, and it’s not necessary. It’s just a safety cushion for them because they’re doing that. I’m not saying what we do is not safe because I’d like to reach out to people we’ve worked with like Ian up at Not Your Parents Basement Lounge. We went in there, and he’s running his whole facility, I believe, on 50 megs of bandwidth. We just rate limit every device to five megs. His game server has 50 megs open. He has a few IP addresses he can assign for streaming, so if he has a guy come in that wants to do streaming with his own machine, he gives them that IP. That IP will have 20 megs available to it. It gives him a constant stream. It doesn’t affect the other gamers on the network. They all have their own bandwidth to use. These sort of things are things that are beginning to become tiresome for me to have to go through this back and forth with everybody that we work with. In this scenario, we’re just recommending to the venue what they should put in the place. We’re not doing the routing or anything else. I have to sit back a lot of times and give my opinion, but it’s ultimately their decision because they’re going to be doing the routing, and it’s their network. We’re just going in to plug our machines in and make sure our software works. Ultimately, if the internet doesn’t work, the problem falls back on whoever the network administrator is that set it all up. If it’s us, I will only do it one way. I will only do it with us putting in the router, us doing the routing for public IPs, us rate limiting and traffic shaping that network properly the way we see fit and the way we’ve done it for years. I also think that we’ve learned that through necessity of doing shows like Gen Con and Pop Con where you go in, and there’s 10 megs of internet available for, and I’m not even making this up, $10,000 for four days. That’s the rate in these convention centers when you set up for internet because you’re only there for a short period of time. You figure out very quickly what’s important. Is it important for that person on that one machine to be able to have five videos loaded on Netflix, and Hulu, and radio streams coming in, and another window up in the background of a game they’re not even playing anymore, and then League of Legends up on their screen, complaining about their ping times on their screen. They’re in charge of their own world on one machine in our network. If you load a lot of stuff on your machine, you’re the only one that’s going to lag. You’re not going to affect anyone else in the building. That’s what I wanted to share today, a little bit about when it comes to going out, and setting up the internet, and how important it is to make sure that they do a good job upfront because lag, latency, response times are things that your center will be judged on and that experience will be judged on. Obviously, some people err on the side of I’ll buy a crap ton of bandwidth. If somebody comes in, and they overwhelm my modem with requests, searching for custom CS go servers and steam, we just have enough available that it doesn’t affect everybody else. We just hope that 100 people at once don’t search for CS go servers at the same time. J-Mac: Unfortunately, I don’t have any two cents because that’s your world, not mine. Zack: Right. Again, it’s one of those things that becomes a crucial part that somehow when these people make eight month, nine month business plans. They do all of this stuff. They just leave that to the eighth or the ninth month. It’s the eleventh hour, and we’re like, “Okay.” We’ve known we can get internet. Now let’s start thinking about what that means. How do we get internet into the space? It’s like what we talked about last time when it’s like hey, how do we get games working? It’s like, I can do it at home on one PC. It’s just easy. It can’t be that hard. I’m a gamer, I know how to do that stuff. You just have to make sure the games are updated. You just have to make sure you have enough bandwidth for one PC. It just doesn’t multiply out when you put in 100 of these things in one location.